"The Watsons Go to Birmingham- 1963" was an originally a book written by Christopher Paul Curtis. It was adapted by Cheryl L. West who was there for the production process as Risa Brainin directed the show. The production is hosted by UC Santa Barbara's LAUNCH PAD, a program in which national stature playwrights come to develop their works alongside students and faculty. Started in 2005, this program allows for the playwright to adapt and adjust as the process continues, allowing for the production to evolve. A LAUNCH PAD performance is considered a preview and in its incubation stage for preparation for debut performances and worldwide premieres. After UCSB, "The Watsons Go to Birmingham-1963" will be produced in Chicago at Chicago Children’s Theater and Seattle Children’s Theater. It is the first time there have been two professional theaters to collaborate and be commissioned for a piece in works with LAUNCH PAD. "The Watsons Go to Birmingham" is a 75 minute play, without intermission, focusing around the Watson family: Mama, Daddy, and their three kids, Kenny, Byron, and Joey. 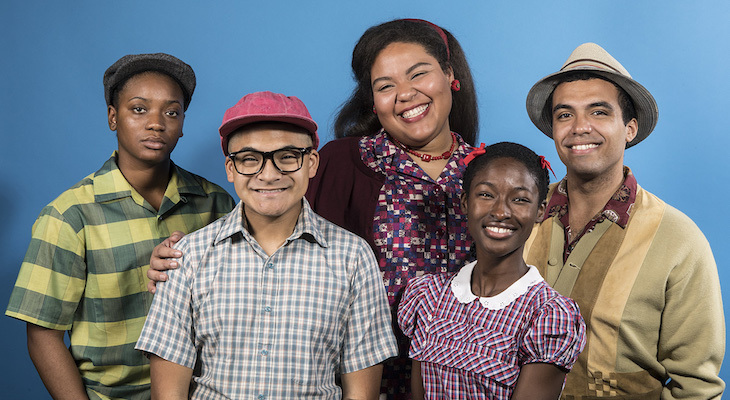 The play touches on subjects of racism, segregation, and violence particularly to people of color in the South during the 60’s. These topics can be related to today as the rise of the KKK, Neo-Nazis, and white supremacy have made their presence unforgotten. The production uses a unique touch of projections, sound, and lighting on stage. The background for the set is projected rather than having a full house of furniture. There are only the key elements in order to make the scenes advance, such as a couch and a toilet. With this being said, the audience is easily stunned when a handcrafted, wooden, life-sized car appears on stage. The play has a good balance of seriousness and hilarity to it, allowing the audience to laugh and chuckle along as well as understand the terrifying nature to be in such situations. "The Watsons Go to Birmingham-1963" has ten preview dates, February 14-16 and February 19-24. There are shows at 8:00 pm on February 14-16 and February 19-23 as well as 2:00 pm shows on February 23rd and 24th. To get your ticket go online to theaterdance.ucsb.edu.